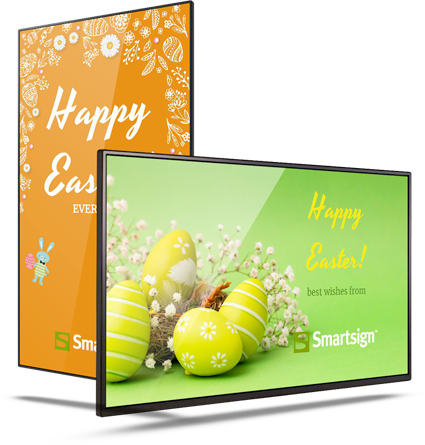 Easter is soon upon us, and to help you celebrate and greet your customers and employees in an eggstra seasonal fashion we have made several Easter templates for use in Template Creator. Simply download and unpack the templates. Then upload them into your Media Library and book them in your playlist* in fullscreen mode or in a 16:9 layer. Publish and edit them just as you wish. Also, we have another Easter egg in store for you, but you will have to wait until after the holidays before you open it! Smartsign Display Manager version 10.6 will soon be available, with many new features and improvements. Stay tuned for more information on the release! 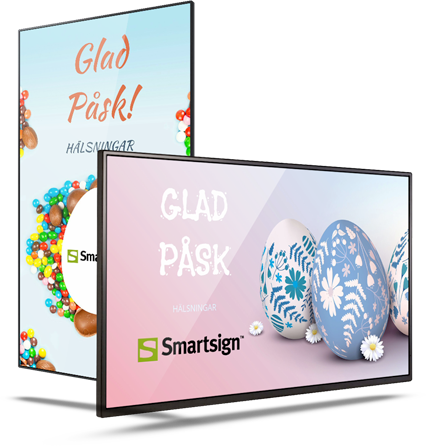 * Systemkrav är Smartsign 10.5 eller Smartsign 10 cloud service.